2018 was by far our most creative year to date as we bravely stepped out of making bread-and-butter props (not literally props that are a piece of bread and blob of butter, but the things-that-every-hire-company-has-to-make-money props.) We embraced the slightly odd, not seen before and purely imaginative. Read on to get a taste of 2018 as told through 20 new props and hear what the future might hold regarding props here at The Prop Factory. Our tale begins with a sheep and his friendly directions to the baa. Needless to say, this prop was made as a bit of fun. A few years ago I noticed a post online where a wedding couple had scribbled 'This way to the baa' rather crudely on a bit of wood with an accompanying stick drawing of a sheep. As with the way most props originate I thought 'that would make a great prop!' or, more specifically, a great sign. However, like most ideas, the thought was all that happened. I have a mental list longer than I dare to think of regarding potential props we can make and I wonder if we will even come close to making them all - even over the next 20 years! Then, a few years later, I bought a second-hand fleece blanket and, like an elephant never forgets, the fleece became the beginnings of the 'Baa' sign. Not being one to make signs by half, the finished product has materialised as an, all be it small, full sized sheep. The wooden letters came from Matalan (the clothes store, of all places!) as - in the year before this prop came into fruition - I saw they were selling off lots of 3D reasonably sized letters for 20p each. So at 17:55, five minutes before the store closed, I asked to buy them all! This was much to the annoyance of the till staff as each discounted letter had to be itemised and I bough nearly 200 of them. . . with the itemised receipt ending up twice the height of me! The letters sat around in our woodstore for a good year before being used (which is standard practice here: buy it, then figure out what to do with it in due course!) 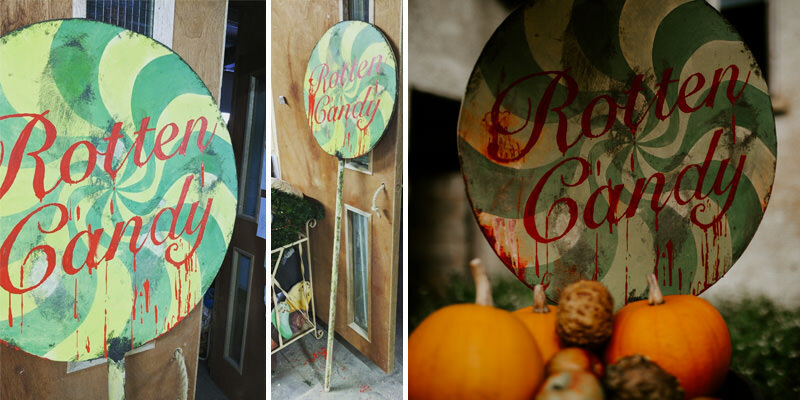 These letters have also been used on our 'Meooow' sign, 'Good Night' sign, Clown Hoopla and a few other props. 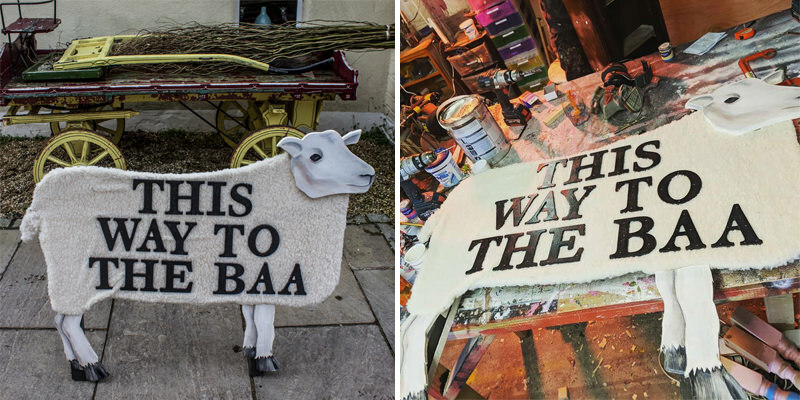 So a fleece, some letters and a wooden cut out sheep make up prop number 20 of 2018. Sticking with the animal theme, number 19 from my top 20 is the Frog Gobble Game. The idea for this prop was imagined during a trip to Butlins. . . and I definitely feel I need to shed some more light on this story! So, I visited Butlins with my family. We are like chalk and cheese: my sister and Dad love the amusements, bingo, fish and chips and an easy life, while I'm addicted to my work and get insanely bored if I'm not planning, designing or thinking. When it comes to the work/life balance my son is on their side, so when they suggested going on holiday I agreed, leaving my laptop, diary and note pads at home with the intention of embracing the non-working side of life. I think I lasted just under a day before I broke, went to the gift shop and bought a note pad. Before this I had been previously scribbling the Frog Gobble game on a cereal packet with one of my Dad's bingo pens! So that is where The Frog Gobble (and Good Night sign for that matter) were dreamt up. The game itself did actually have a purpose, so it wasn't a whim. It was for a couple getting married who were having a wonderland themed wedding. We had to design and make three games for them, and this was one. The others were the 'This Way, That Way' game, and the 'Wonderland' croquet. I also had a reasonable starting point as it just so happened we had with two novelty frog mirrors in our woodpile - another bit of one-man's-junk-another-man's-treasure well salvaged! Mr Frog Gobble was the result of the combination of 'bored at Butlands' + customer game request + frog mirrors in need of a home and makes up prop number 19 of 2018. My next favourite prop, which was also made for the same wedding as the Frog Gobble, is our giant (really GIANT) Keyhole Entrance. This was a triumph as it began the design process as a glorified peep board. The peep board was taller than our standard ones, but instead of a head hole being cut out, it became a walk through keyhole. The concept grew into a much bigger idea after we (I should really say I) were concerned about the potential for this prop to look a little naff. 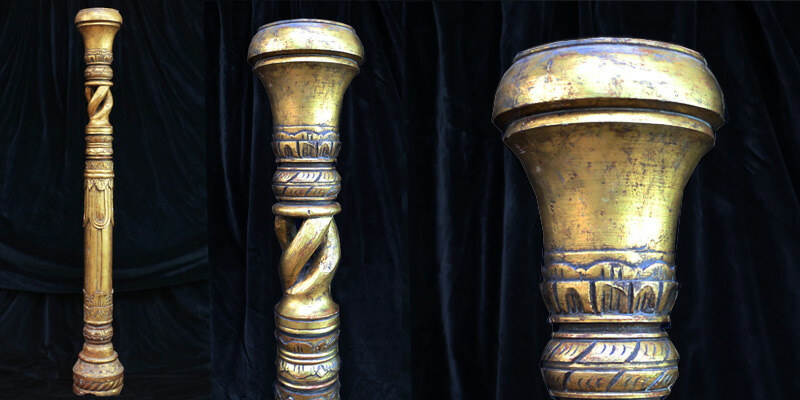 After it grew, and we used was more man-hours than we intended, the basic shape was ready to be decorated; that was the best part for me, creating the brass effect. This effect was a give it a go, trial and error approach. It involved many, many layers of sawdust mixed with paint and glue to make the rough effect, then sanding it back and doing it again until, finally, layers of sawdust gunk softened the sharp edges of the raised wooden details. Different tones of gold were then rubbed on using sponges; however the sponges crumbled to sponge fuzz very quickly, and some knuckles were injured with the aggressive rubbing of the gold. All in a days work to make an amazing prop! Carys, our stylist, and I attended the wedding as popcorn attendants, (something outside of our job remit!). You can see the full wedding pictures of the wonderland wedding on our blog this May. The Giant Keyhole Entrance, a prop which grew and grew (both in size and ideas) and became the successful result of giving new things a go, is my choice for prop number 18 of 2018. A month later at the very same venue, Anran in Devon, favourite prop number four made its first appearance. These flowers were originally made for LUSH and their annual staff conference. When deciding which props to choose for this blog post, I initially couldn't decide which I preferred from our giant flower range, but I think I have settled on our Giant Daises over our Giant Sunflowers. It was a close call! The flower project was one of our biggest of the year and certainly sticks out in both memory and design! We pulled together over 20 people over the course of 10 days to make 90 giant flowers: the 10 sunflowers alone comprised of 500 hand sewn petals, each taking at least 5 minutes to make (which might not sound that much, but times by 500 that is over 40 hours!) The daisies are made of vinyl offcuts from Giant Deckchairs and, when folded the right way, take on a daisy petal shape. The stems are old coconut shy rods leftover from when our coconut shies got upgraded. The proportions of the rods to the daisy heads worked beautifully as if perfectly scaled up. We'll be releasing our video of the flower project from start to finish soon. 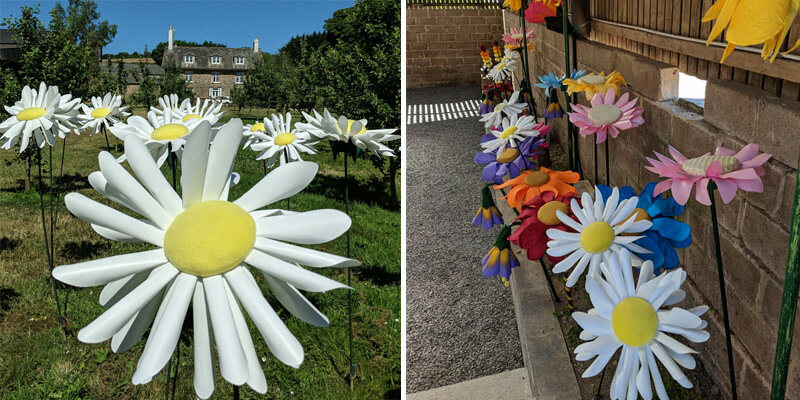 Bringing both joy and sore hands from sewing, the Giant Daisies land at number 17 for my favourite props of 2018. 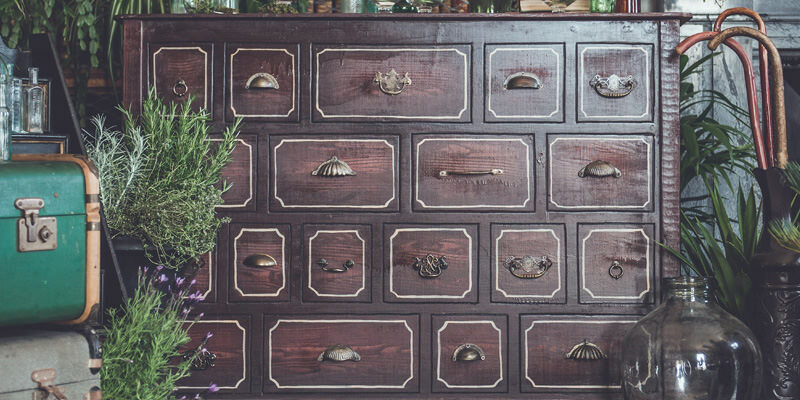 Next up is our Apothecary Bar, which has proved super popular this year. I have a long-standing love for anything Victorian, especially medicinal, and I love reading about the so-called 'cures' and (some just down right barbaric!) remedies used historically by our ancestors. This prop came about because, as much as I'd love a real apothecary bar. . . or 10, they present huge storage issues. So seeing ourselves as 'aficionados of flat pack', this bar folds up to a slither of itself. The drawers have been created using a router to carve drawer shaped indents - you can witness them taking shape via our staff Instagram here. The eclectic drawer handles (as you might be able to guess by now) were lying around at work having been previously foraged from various locations. This bar has featured in many of our styled shoots including the Victorian Botanical shoot at Escot House and as a Halloween treat bar at Ashtridge Court Farm. 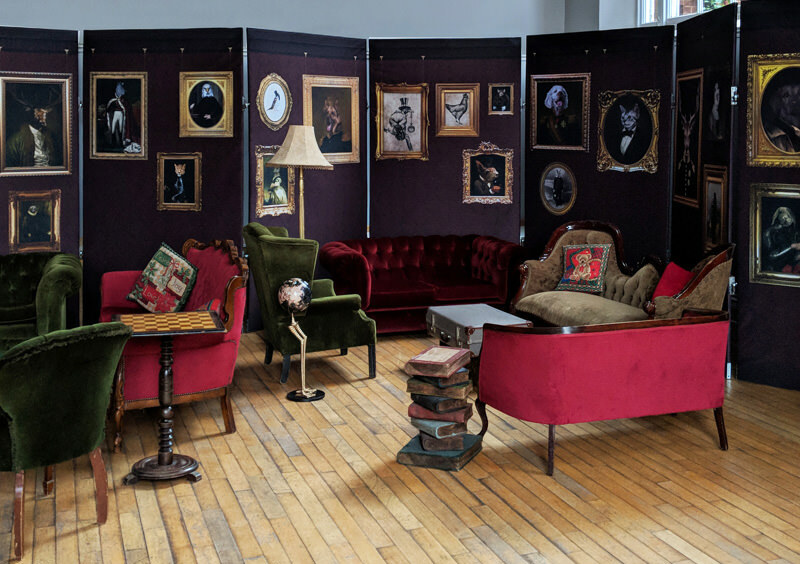 So, our flat-pack Victorian Apothecary Bar, a firm favourite within the Prop Factory office, has been chosen as number 16 for props made in 2018. Staying with botanical vibes, my next favourite prop is the first prop bought as is, and - unusually - has not been altered at all. 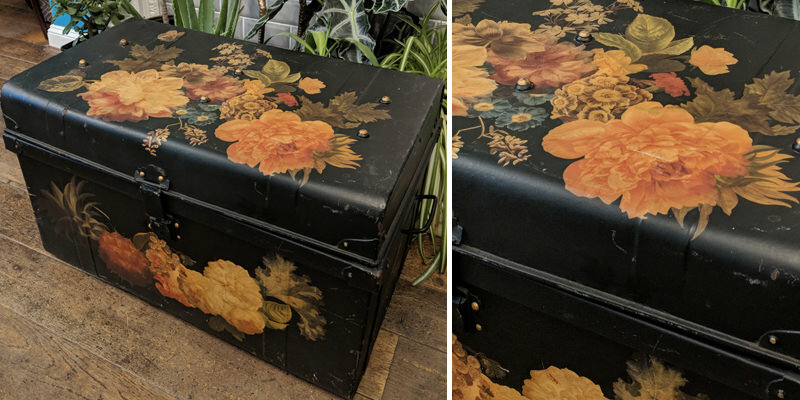 This botanical trunk features oil painting-style decoupage foliage and flowers against a matt black paint finish. Not too much to say about choice number 15, the botanical trunk, with it arriving and going straight on to the shelf, but a lot to say about the next prop: The Caterpillar Pouffe. 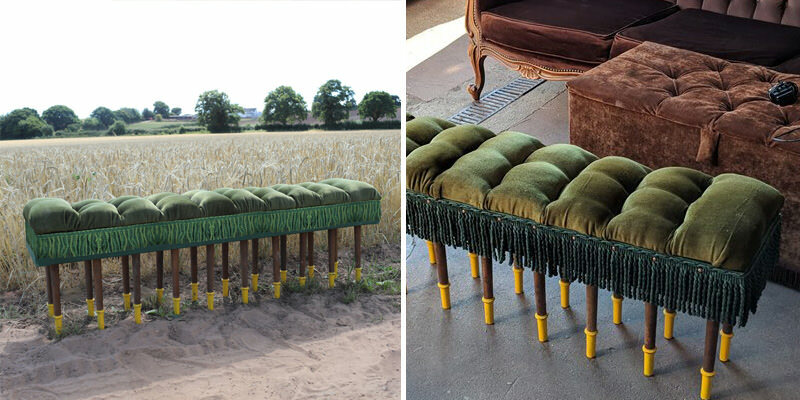 The Caterpillar Pouffe was created after the purchase of a box filled with furniture legs. While we are not 100% sure on what type of furniture the legs came from (as they was quite simply legs in a box!) I would hazard a guess at their previous life being a set of dining chairs or stools. They were very rustic and weathered, appearing as if they had spent quite some time outside as there was no varnish or wax finish left on them and they had also been sun-bleached. I originally thought they looked like millipede legs altogether, but dismissed the idea of making a giant millipede for fear no one would ever want to hire it. A while later, the lovely Sophie from Aynhoe Park contacted us about hiring some wonderland props, including a furniture set up. This is also how the Mad Hatter's Chair and Jam Tart Seats were produced (you can see our growing wonderland furniture rage here!) The lush green velvet used to upholster the Caterpillar Pouffe is salvaged from a set of rococo dining chairs salvaged from a hotel in Cornwall. We used the legs from these chairs to make all of our ottomans and, not wanting to waste the rest of the chair, the velvet became the caterpillar, the seats became the Jam Tart Seats and the chair backs will become something in the future I'm sure! I am delighted to say that an idea I initially thought was too 'out there' has been created and is my pick for 2018's prop number 14. Another prop designed for the eccentric wonderland wedding are our popular dream-catchers. This prop was already on the cards before the wedding, but was hurried along when I mentioned - in passing - to the couple that we might be building some. I love dream-catchers; I'm not sure if it's because it's a 90's thing? I was born in the late 80s and grew up in the 90s when dream-catchers, bead curtains, macrame, lava lamps and inflatable furniture were all the rage. I think the fact that there are currently a lot of brides and grooms who grew up in the 90s explains a few recent wedding trends, certainly dream-catchers and macmame! I already knew how to make the dream-catchers in the traditional way, but I was conscious that doing so would have taken a very long time, especially with them being giant! So, not wanting to give up on this idea, I had a rummage around and found a large doily that we did not use to make our doily bunting as it was too big. Using the principles of the traditional technique, I attached the doily to a big wooden loop. Just in case you are wondering (as we have had a few people ask where we got them from) it seems that unfortunately you can't buy giant wooden loops off the shelf, so these were created at the Prop Factory. Following the successful prototype I then made the rest of the dream-catchers at Crealy, a family adventure park in Devon. This was because it was the Easter holidays and I had a very lively 8 year old to entertain. Luckily it was glorious sunshine, so I took my son and his buddy there for 4 days in a row while I made them all. The tails are made of all manner of ribbons, lace, feathers, string and beads, mostly taken from our haberdashery stash. I'm not the kind of person that uses the word 'stunning' but the dream-catchers really do look stunning hanging up - even in the warehouse - and this is why they are prop number 13 for my favourite props of 2018. At the opposite end of the colour spectrum we have the Ticketbooth. I have wanted a circus ticket booth for agggges! 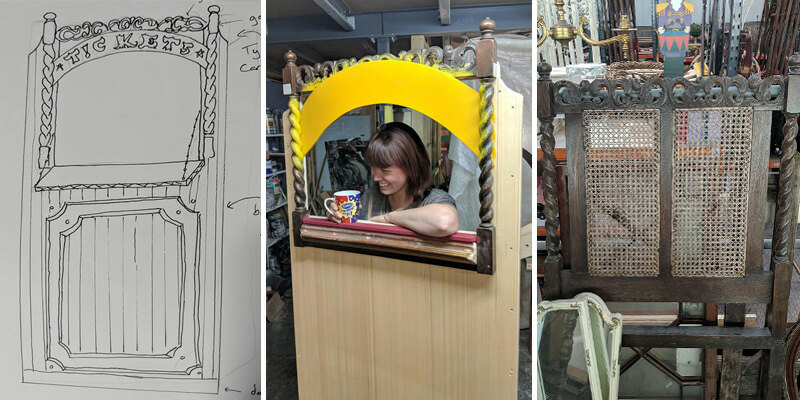 The design was created when a large circus prop order needed a few extra bits, this being one. Everything about the decoration is what I love about circus props: the harlequin diamond pattern, the stripes, the ornate gold detail, tassels, barley twist wood, stars and vintage typeface all brought together in harmony. The serving hatch is actually a Victorian bed, hence it is probably a little smaller than a traditional booth. So the Ticketbooth with its bold and fun circus design is my pick for 2018's prop number 12. If the circus theme takes your fancy too, don't forget to check out all of our circus props here! 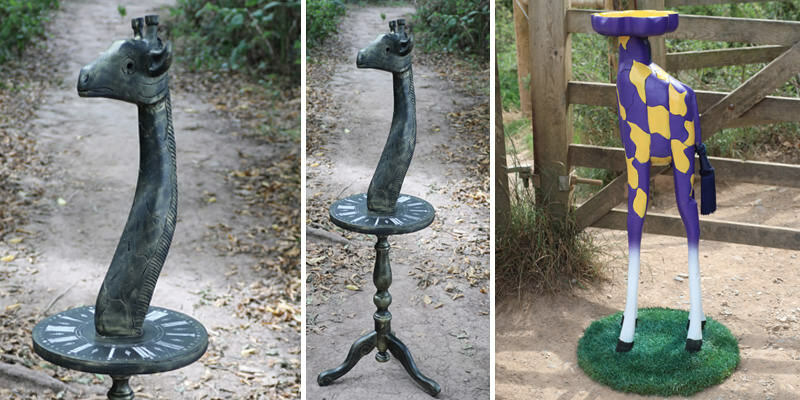 Prop number 11, The Giraffe Table, was hired a fair few times last year so isn't completely nuts, but yes, I admit, it may be a little impractical! The giraffe was in a bit of a sorry state when it came to us after spending a good 12 months in my son's bedroom, but I squirreled it out and smuggled it into the workshop. Before this prop was made, the giraffe sweet bowl came first. The head was a by-product of the sweet bowl and bimbled around the workshop for a while until it was introduced to its new legs and a wooden clock-face thrown in to make some sort of tangible surface. Aside from the composition, my favourite thing about this prop is the colour; I had the potential to be garish and cartoony, but feel the black and gold add mystique. Deserving its place at prop choice number 11 of 2018, our Giraffe Table is sure to add a talking point to any given event! Another prop from the want list, and finding its way to number 11 in my favourite props for 2018 is the Alive sign. An 'alive' sign is synonymous with sideshow art, more commonly known as the freak show. The 2018 film The Greatest Showman bought back a romanticism regarding the plight of circus oddities. Initially I imagined the simple common version of the sign with a plain font, but the prop makers did me proud and took it to a super decorative level. The whole sign is hand-painted using customary signwriting techniques. While I love the typography of this sign, I am more in love with what it represents and the rich history behind this iconic sign which is why I've labelled it prop number 10 in my favourite of props of 2018. The Umbrella Stand is the second prop from those we just 'bought' which has found its way into my top 20. Interesting to add, one of only 4 out of 20. I saw one of these for sale some time ago and loved it, but sadly I missed out! After a quick internet search it turns out they are harder to come by than I first thought. So when I saw this one for sale years later, all be it at a price much more than I'd like to pay, my FOMO got the better of me and I handed over the cash promptly. 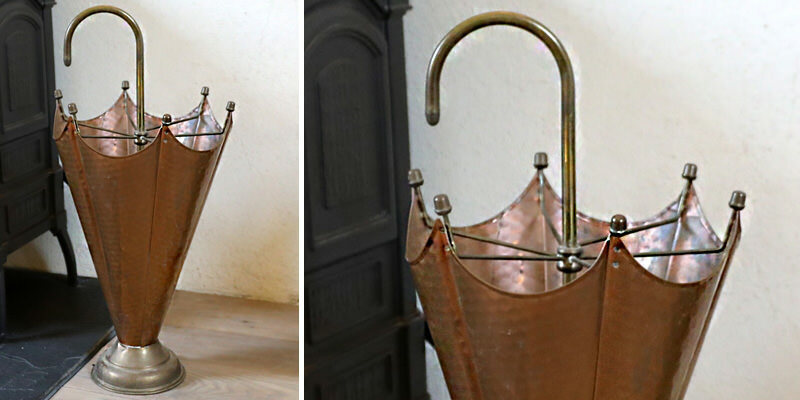 It has been hired a fair few times, so there are other copper umbrella stand appreciators out there too - big love to you guys - and this is why it has made it's way to number 9! This prop was born from pure frustration. I am not a prop maker by trade, only a prop designer and buyer, but this prop was personally made by me. I can't remember under what circumstances exactly, but I remember being incredibly frustrated in the office and so, as an outlet, I ventured into the workshop and picked up a scrap bit of wood. The result? This Rotten Candy lollipop sign! Just to point out it was Halloween that week and we had a Halloween photo shoot on the horizon in case you thought this this was me channelling my inner ogre! This prop has been chosen as a rather apt number 8 as I had fun painting the text with thick red paint and making it drip everywhere and adding the 'rot' makes it really rather horrifying! These circus seats, my pick for prop number 7 of the year, were part of one of our bigger projects of the year: a circus-themed birthday party at the Four Seasons in Mayfair. 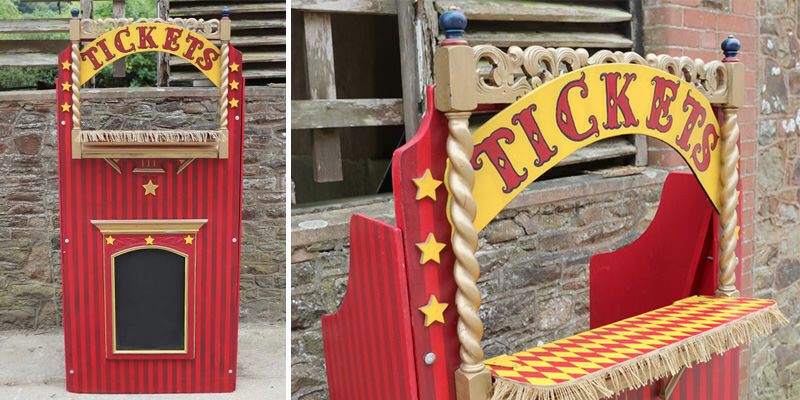 We made 12 seats to create a mini circus ring and my favourite thing about them is the way they stack! Storage is a constant problem to be solved when housing a less than conventional collection of props and the design for these proved to be the perfect solution. Aside from being practical, the shape is just so pleasing. I can't explain why, maybe it's because the way the triangle pattern falls and bends round the corners creates visions of teeth in a monster's mouth - not exactly a USP, but that's how I see them! After their first outing in Mayfair they were lucky enough to grace Adobe's Christmas party followed by Renualt F1's Christmas party and it is for their slick design and celebrity status which makes them a sure bet for number 7 of my favourite props for 2018! My choice for number 6 has already been mentioned when talking about the Caterpillar Pouffe and I told you that these were created with rococo dining chair legs. I initially looked into buying a few ottomans for a customer to match our Hot Pink and Gold Sofa, but they seemed to be more expensive than the sofa! This then led me to think: 'surely they can't be too hard to make?' Well, it seems the answer was no. Not hard at all. The four legs you can see are two sets of front legs from two chairs. We have two pink and gold ottomans and two blue and white ottomans. 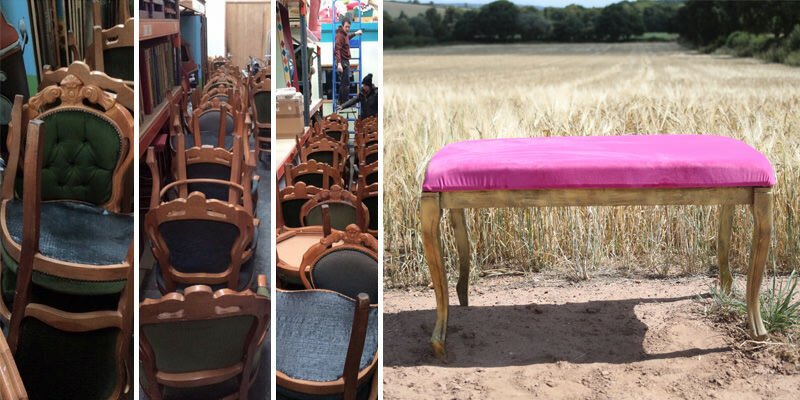 This year I'm hoping to make some super bespoke ones as we have tons more chairs needing a purpose in life: maybe a few wonderland ottomans, circus ottomans and maybe even an outlandish tropical one as a treat. . . ! The future potential to grow a range of these items and the excitement that this project brings means the ottoman empire is my choice for number 6 of 2018. In the very last month of the year the next five props - and my absolute top 5 - joined the story. These animal people panels were responsible for the subsequent Zebra Rug and my fave prop of the whole year: the Bear Foot Table. This project started back in June when discussing a Charles Dickens themed Christmas party with a client. I have to say I was a bit stuck for ideas aside from a fake Victorian street! After a time of 'e-mail tennis', we settled on navigating the event decor towards a 'Hendricks Gin' vibe. If you've ever been privy to the Hendricks branding you'll know what I mean, and if you haven't you're in for a treat: think totally eclectic Victorian paraphernalia collaged together in an animated way and airing on the side of Monty Python. I was very pleased to say I was pretty much left to my own devices in terms of planning the decor. It was a total dream and an amazing way to end the year in the Land of Props. The panels were a result of needing to make one very plain, light and airy room look like a cosy Victorian living room. The vast majority of venues don't allow you to hang anything from the walls, which presents a problem when trying to create an immersive event. Most companies use the standard pipe and drape system, which can take not only quite a lot of time to set up, but also quite a lot of people! I felt this system might be too over-engineered for making a simple living room set. We've had many attempts at making various backdrop solutions and each have come with their own merits and issues. After making the concertina circus arch we drew upon its concept and created concertina wall panels. However, I was in two minds as to whether I could accept what should be a straight wall as a concertina as, although I like quirky things, I also crave order! So I gave the panel idea a go, with the pros being the easy design, build, assembly and storage and the drawback being the inability for the panels to be used in a straight line. The artwork is a real treat. We purchased a load of royalty free images of paintings and animals and combined them to make over 40 'animal people'. This was not a completely random idea as I drew inspiration from the Victorian love of giving character to animals. Whether it was anthropomorphic tableaux - taxidermy animals enjoying Victorian pastimes such as croquet, boxing and afternoon tea - or Victorians dressing up their pets in clothes, there was a real notion that animals had their own individual personalities. I have to say that, despite my initial reservations, I do really love the panels and that's why they have made their way to number 5 on my top 20 list. If this concept intrigues you, look below at some of my other animal creations! Number 4 on my top 20 list of props was not only a bought item, but it was NEW! Yes a very, very rare thing! This is the only brand new item which makes it on to my list (baring in mind if I'd have bought it second had it would be on here still!) It was a very quick buy the night before installing the props for the Victorian party. As well as making the animal panels, we also made some Victorian paradise panels which featured exotic foliage and hidden zebras (seen here behind the sofa and rug.) I love animal rugs, but not the whole killing animal side of things, which makes this faux rug a perfect option. 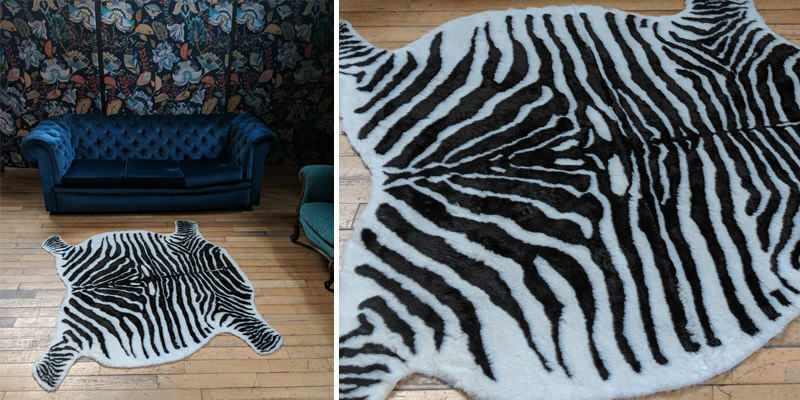 I also think if it was a real zebra rug it would be a whole different story, as I'd probably freak out about it. Maybe I should say I love fake animal rugs! So there we have it, the only brand new item finds itself at number 4 in my top 20! What a find number 3 was! My friend's dad bought a Moroccan cafe and stripped it out, making an unmissable opportunity for us here at The Prop Factory. These were one of several large items salvaged from the cafe with our metal eagle also coming from the same previous home. Never have I seen something like these which weren't fiberglass: they are wood! Lovely, lovely gold carved wood. Yay! We were allowed to have them as they fit with our sustainability values and I can't wait to see what lovely decor these create at an event in the future. I'm thinking 1920s Gatsby, Arabian Nights, Bollywood, Fairy Tale castle, Rococo, Greek . . . the themes are a plenty and this is why they earn a place at number 3 of my favourite props for 2018. These were a quick little purchase, but a significant one. I've wanted to start collecting these chairs for a while. When I collect chairs it normally grows pretty quickly: a batch of 10 wooden chairs has soon turned into 700 and before that one chaise lounge has turned into over 50 sofas and armchairs! So this is the start of our collection of Bistro chairs. 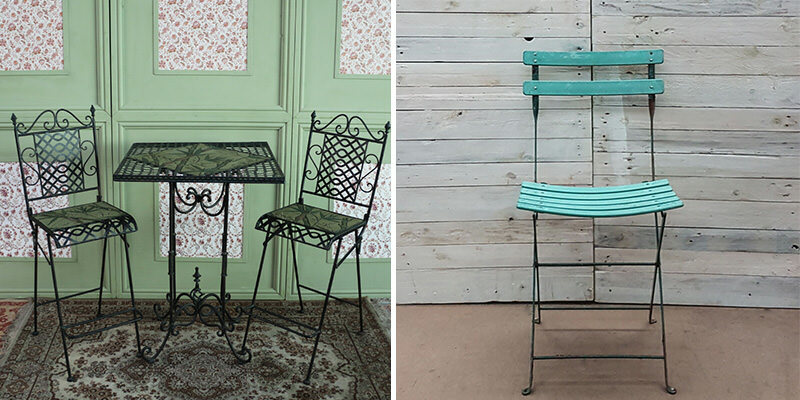 These iconic chairs provide a romantic French feel, imagine alfresco dining at a cafe in Paris, making them the perfect choice for number 2! And finally! Introducing my favourite prop of the entire year: the Bare Foot Table. As previously mentioned, it was part of the Victorian themed party. In the 7 years of having a prop business I have fallen in and out of love with many items: vintage china to name one. . . it just got soooo over used (just as vintage birdcages, pin-up make overs, vintage books, stepladders and vintage suitcases have also fallen victim to this!) I still see these things for sale and have a little look, but I don't have the same excitement I used to and am not compelled to buy them. Whilst in one of my favourite salvage shops I saw a pile of unwanted vintage suitcases high up and gathering dust. A few years ago I'd have jumped for joy at seeing so many! I asked the price for one and was talked myself into buying it for the four pounds asking price. . . off it went to sit on our shelves and gather dust. I do love the look of vintage suitcases, and the unknown tales of where they have been, its just no one really wants to hire them anymore. . . or at least not as they are. I thought maybe repurposing the suitcase to a coffee table would give it a new market and I've seen some great examples of that. Then the bear feet happened, inspired by my purchase of the flamingo-legged globe, and the animal hybrid element of the project was born. 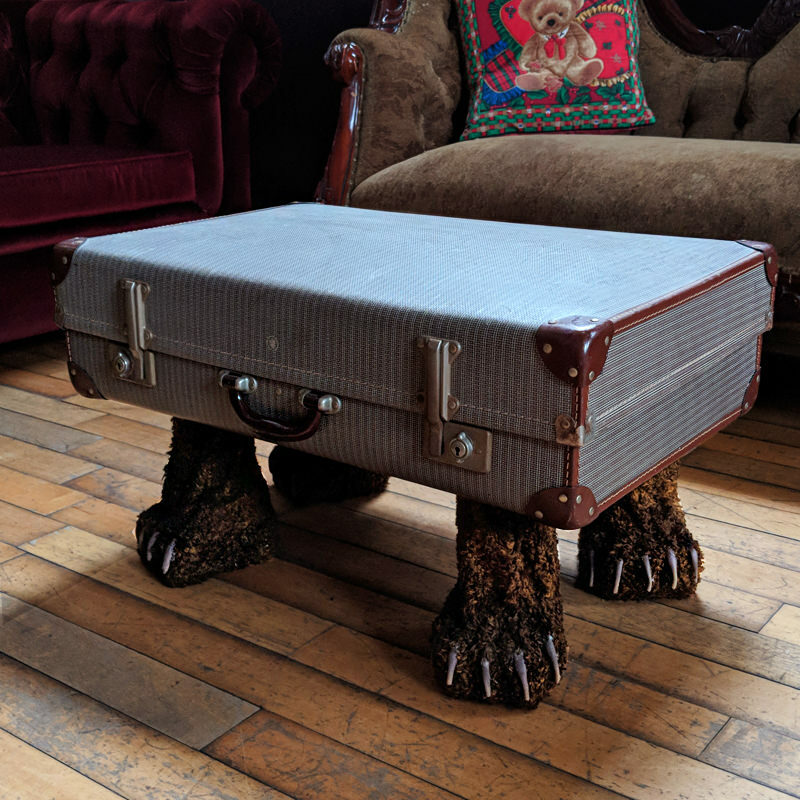 Like the Victorians, I also like to give things personality and I often feel this suitcase would be quite shy, or maybe is a furry creature trying to escape captivity by posing as furniture! So there you have it, my top and ultimate prop of 2018: the Bare Foot Table! Like all our props and all we do, everything is a story to be told, full of personality and character. Every event assembles a unique cast of props telling the individual story of that occasion. I think that is a nice note to end on.